Anticipation is terrible, but a beautiful thing. Your pulse quickens, your pupils dilate, adrenaline begins to pump, and your senses become heightened. You resolve to do one of two things - fight or flight. If it's a fun thing, you stay put to fight, if it's fear, flight calls, and you'll run. 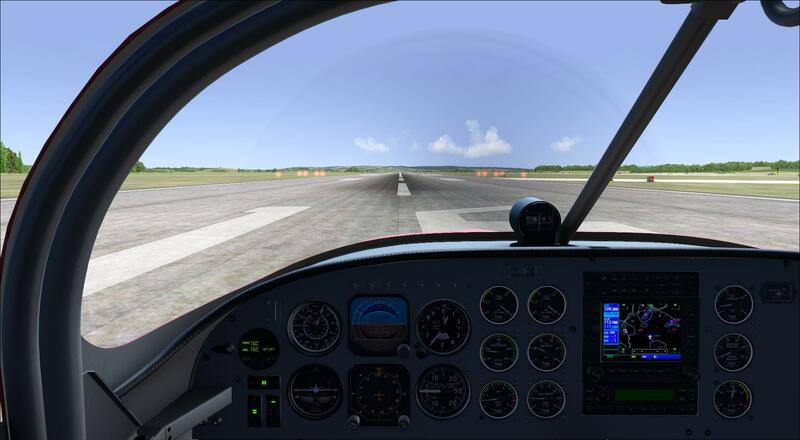 Getting a new flight simulator may not provoke the whole gamut of tensions listed above, but that fight or flight response is still there. Anticipation is beautiful, but a terrible thing. 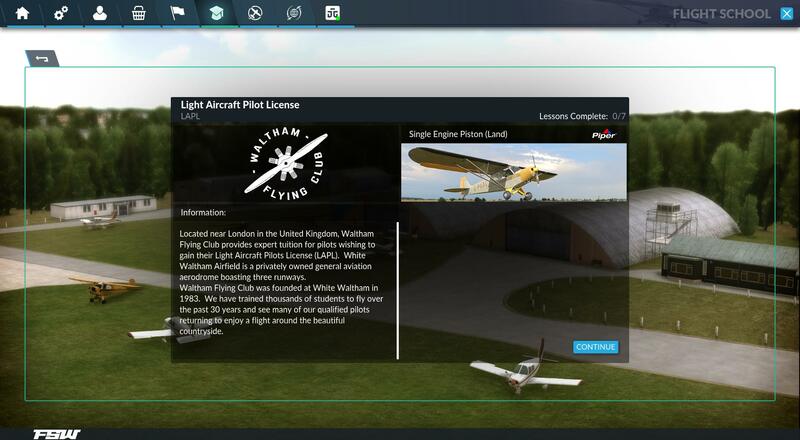 In 2014, Train simulator specialists, Dovetail Games announced out of nowhere that they'd purchased the rights to Microsoft Flight Sim X. It was a shock. Two things came from that purchase, FSX got a nice little recompile and few bugs squashed, improving performance before appearing on Steam, the online games distribution giant. 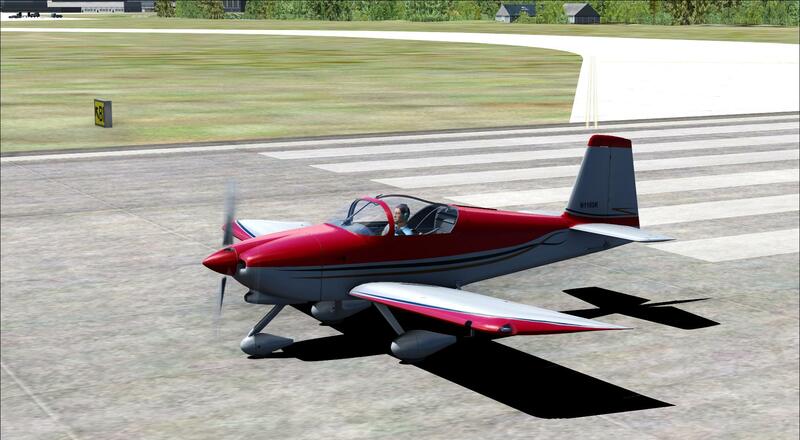 The second thing to come from the purchase was the intention to produce a new flight sim platform. From the old FSX game engine, a new sim would rise, much like a phoenix from the ashes. Along the way we discovered DTG Flight School. 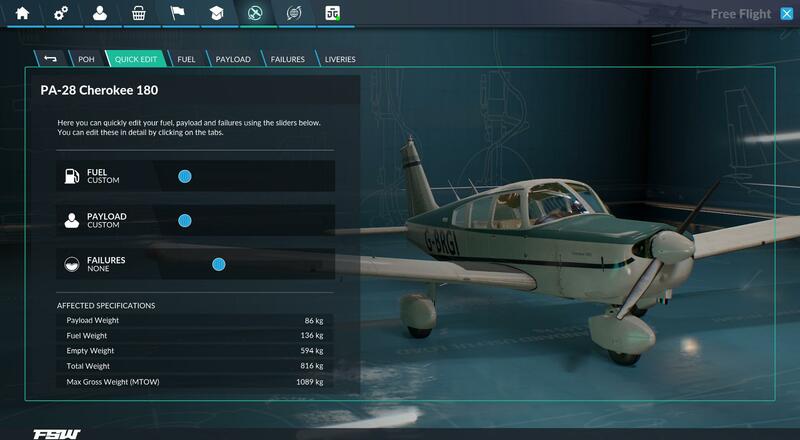 It gave hints as to what the new sim would be, before flight school was retired in April of this year. 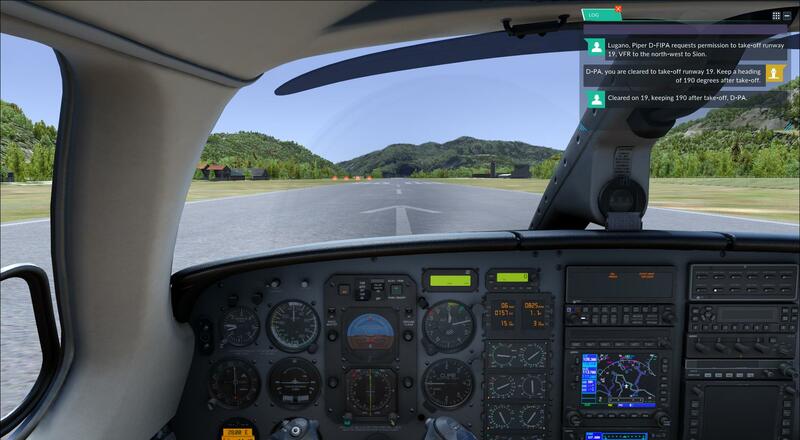 Now the time is upon us, as Flight Sim World, or FSW, is here, more or less. So, what's new? So, let's get the nitty gritty out of the way. 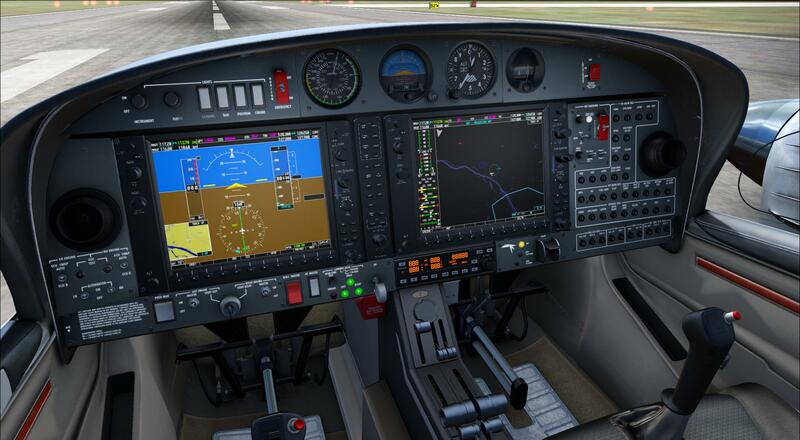 FSW is based on the FSX graphics engine, not Flight. Yes, it's fully 64bit, not 32bit, so OOM's are not a concern. At the minute, the sim only contains GA aircraft, but airliners are supported, just give them time as it's not backwards compatible with any FSX add-ons. Finally, this is an early access version on Steam, so expect there to be glitches and bits missing. 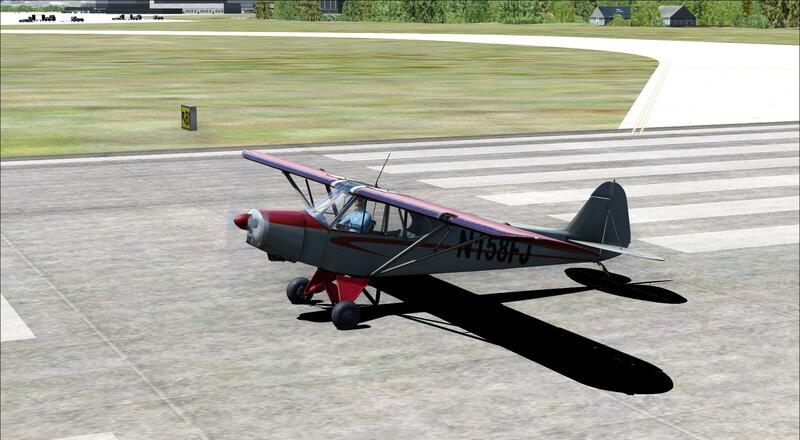 FSW is a massive 15.2GB download, it's only available on Steam, and will be free for owners of Flight School. These are just some of the things that have changed. Is it any good though? So let's dive in and see what's what. On first load, the program clears the shader cache before building the scenery library. It's all very similar to Flight School. The start up screens all look good, thanks in part to Autodesk's Scaleform. 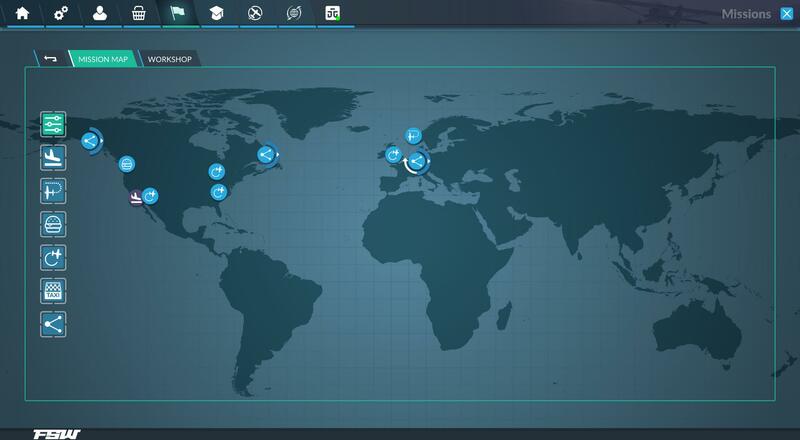 Once you reach the main screen, you'll be greeted with a centralised hub. 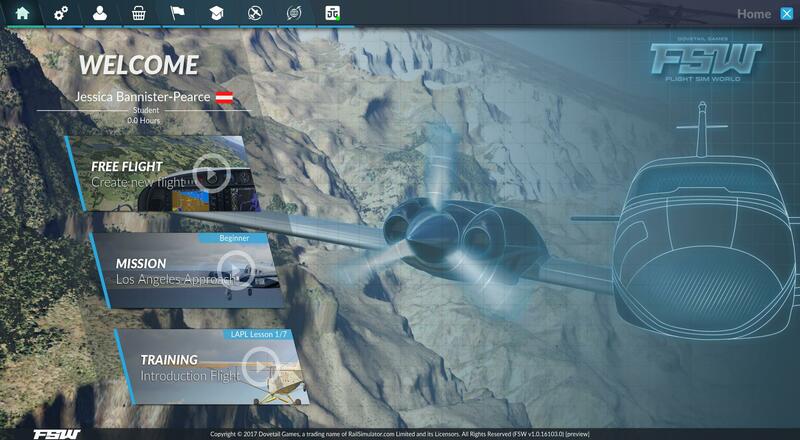 It's a much updated start screen that is slick and modern compared to the old FSX screen choices. 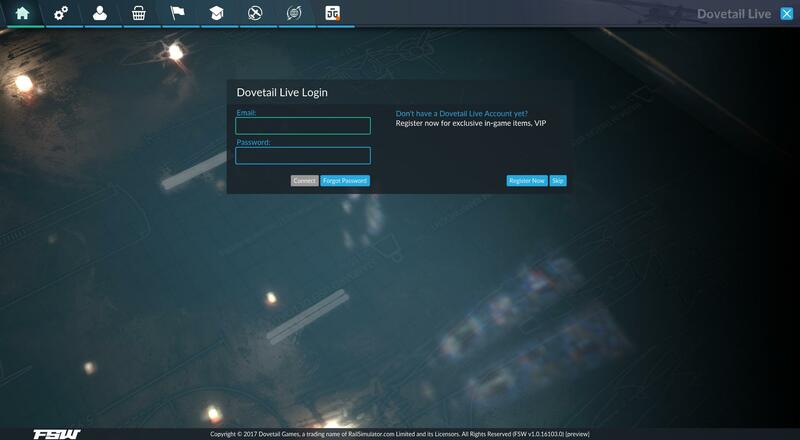 When you first load the sim, you'll get an option to create a Dovetail Live Login. Presumably, this will work for your multiplayer sessions since you have to provide a gamer ID type nickname. It'll also function as a kind of logbook backup. Who knows? It may even work with the integrated store. 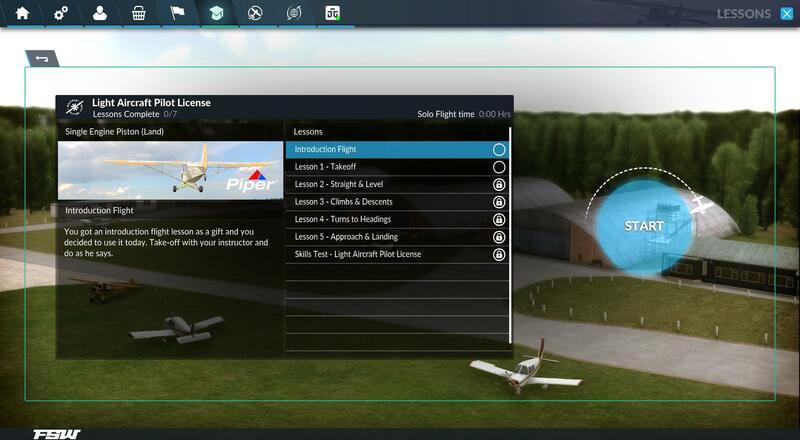 You don't have to get a Dovetail Live Login if you don't want to, the sim is perfectly flyable without it. Once you're done with the login dialogue, the main screen opens up. There are just three options to choose from. 'Free Flight' is just as you'd expect. Pick your aircraft, location, and off you go. Next up are the Missions, which are self explanatory. Finally, there's training. 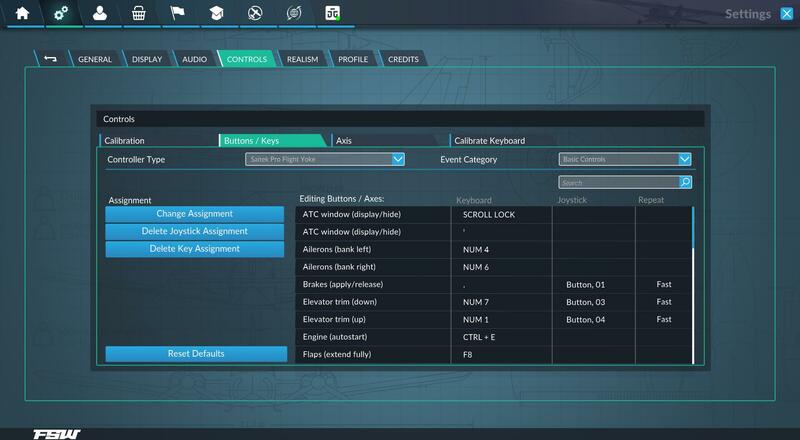 Above, the three main choices are the secondary menu items and the 'Home' button will bring you back here. Let's take a look at the other options. To be honest, we all want to see the sliders in action? The settings section gives us the chance to do just that. You won't find much here to shock you though. Actually, it comes, at best, as a very glossy makeover. The first choice is the General tab. Nothing too scary here, just the usual ATC voice selections, menu music, and units of measurement. The next tab is where it's at though, the display tab. 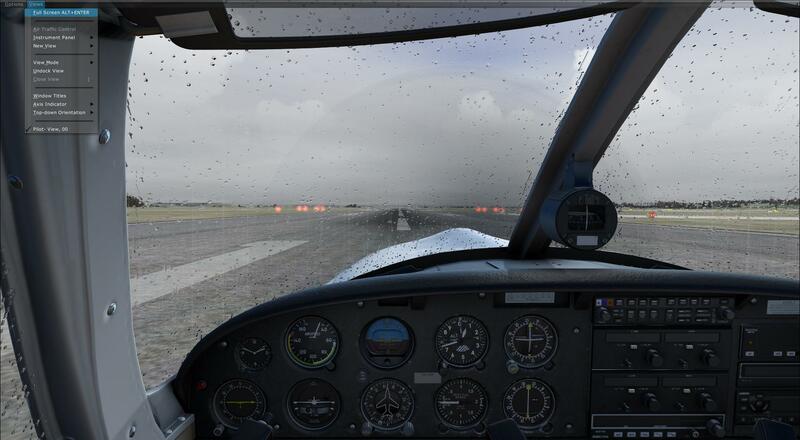 If you're hoping for an FSX style system here where you can tailor everything from the weather, to the cars on the road, you're in for a shock. Everything has been simplified. 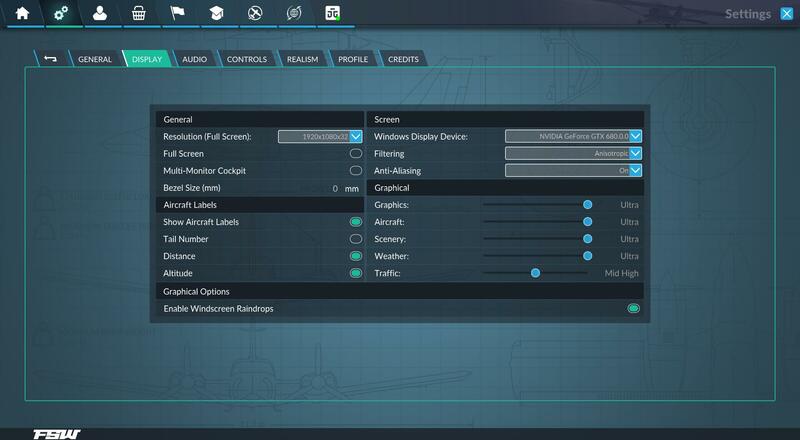 There is a new set of options for setting up a multi-screen cockpit, which is greatly appreciated. That's about it though. The old 'Aircraft, Scenery, Weather, and Traffic sections have all become single sliders, rather than sections you can tweak settings in. The settings now range from low, mid, mid high, high, and ultra. It's a loss of control many simmers won't like, myself included. Finally, at the bottom, is the choice to enable the raindrops on the windscreen. Given it has its own separate setting switch, I'm going to assume that means it's hard on FPS. 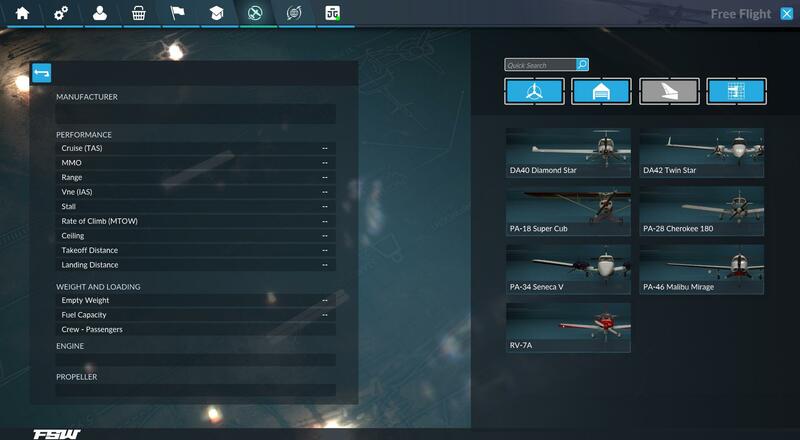 The rest of the menus will be familiar to any FSX or P3D pilot, including the controls section. Again, this feels like a glossy update rather than anything new. The only other tab worth mentioning is the Profile tab. Here you'll have your name, home airport, and flight log kept. At present, FSW launches with just seven GA aircraft. Super Cub, Cherokee, and the Twinstar will be familiar to owners of Flight School. Joining the line-up are a few interesting choices. The DA40 Diamond Star, joins its big brother. 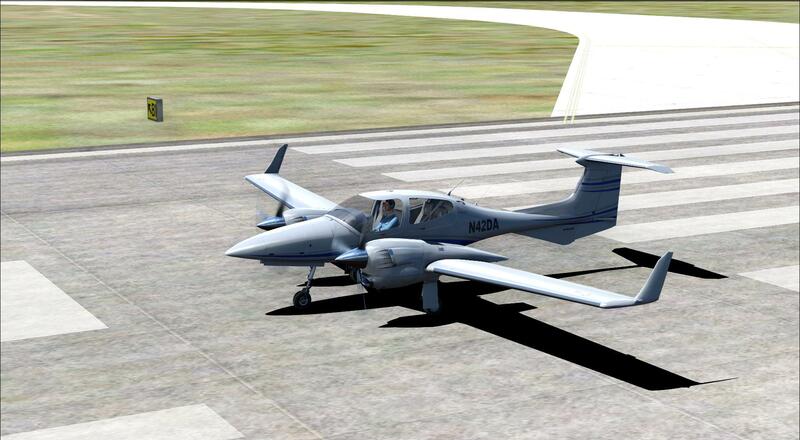 the DA42, whilst the PA-34 Seneca V brings a little twin action to proceedings. 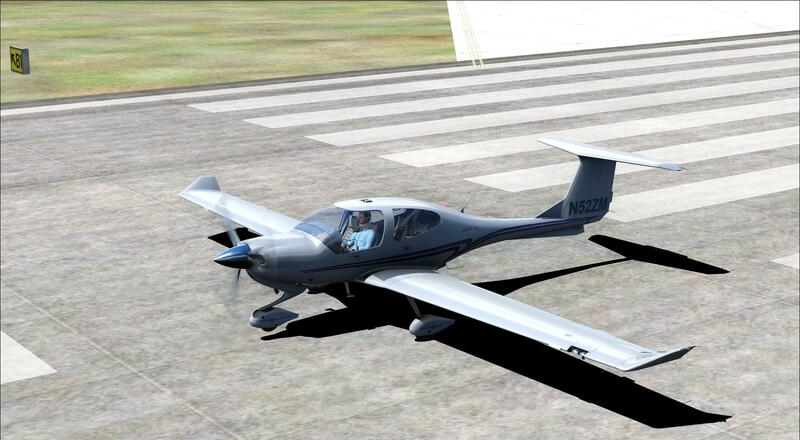 The surprise comes from the inclusion of the Vans RV-7A and the PA-46 Malibu Mirage. Both these aircraft offer pilots something different. All of the aircraft mentioned look beautifully rendered on the outside. 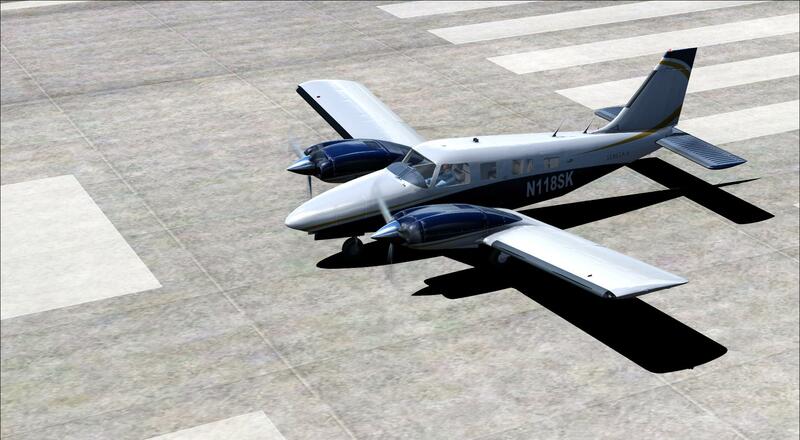 The new PBR ( Physically-Based Rendering) textures are really working well in giving the aircraft a nice, realistic look. 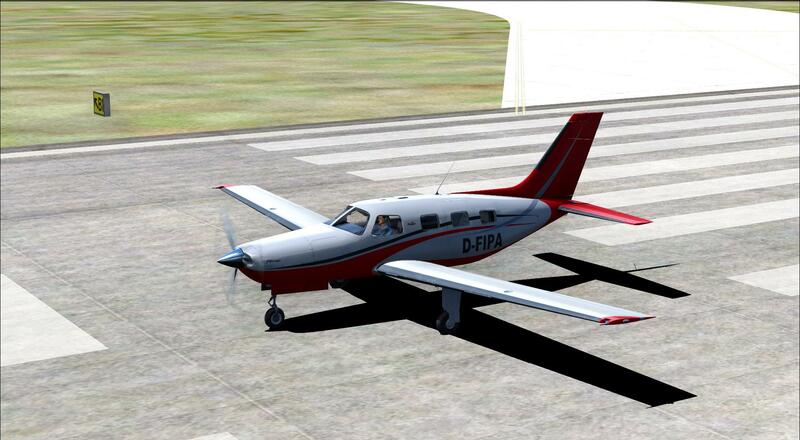 The DA40, PA-34 and PA-46 are all provided by Carenado. That's it. The flight planner is fairly intuitive, and again users of Flight School will find this very familiar. 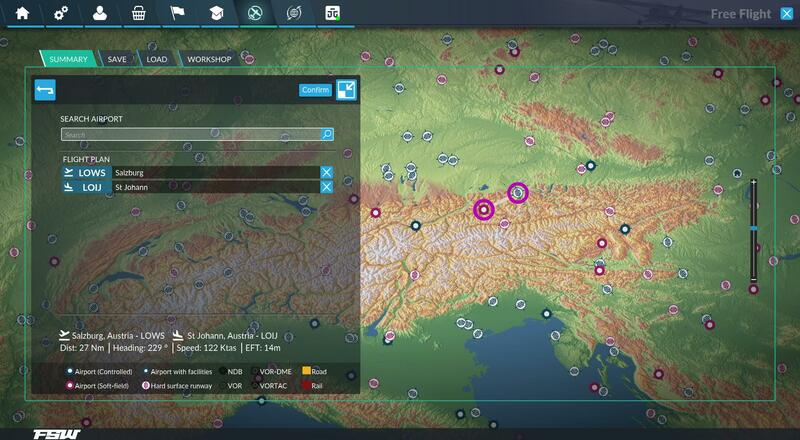 Zooming in on the map shows you the NDBs and VORs available. 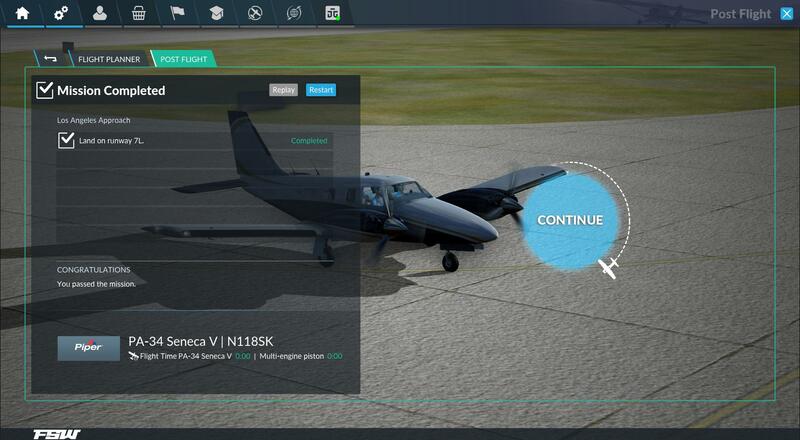 To plan a route, click on your departure airport, then click on your first waypoint, be it a VOR or another airfield. Once you're happy with the route, hit enter. 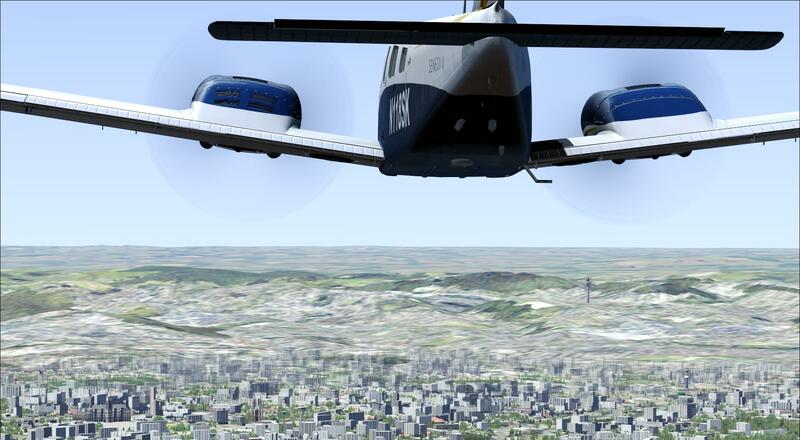 Missions are always fun and they are one of my favourite parts of FSX. Here, selecting a mission is simple. You're presented with a world map. On it are all the available missions. In the future, you will be able to get missions from the Steam Workshops. This is all integrated into the main sim. 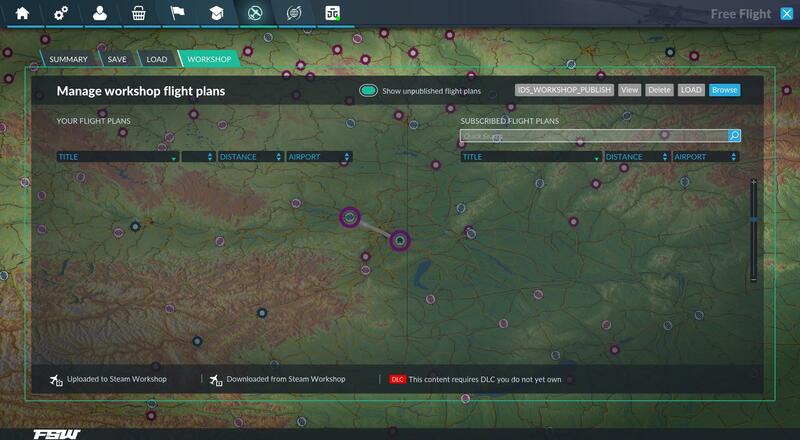 The same functionality is available for flight plans also. There are a few options to filter the type of mission you want to fly, and from the few missions I've flown, there are a few real buggers in there to enjoy. The 'Impossible Turn' being my favourite. Our final option is training. Just like the missions, you can choose your training location from the world map. Right now, it's just three locations, the UK, Germany, and the USA. Each location teaches you a specific set of lessons. So the UK, based at White Waltham airfield in Maidstone, teaches you the basics of 'stick and rudder' flying, using the old Super Cub. The lessons are fun, if a little dull to begin with. Once you finish all the training lessons, you're invited to take a skills test. Complete that, and you've got yourself a qualification. 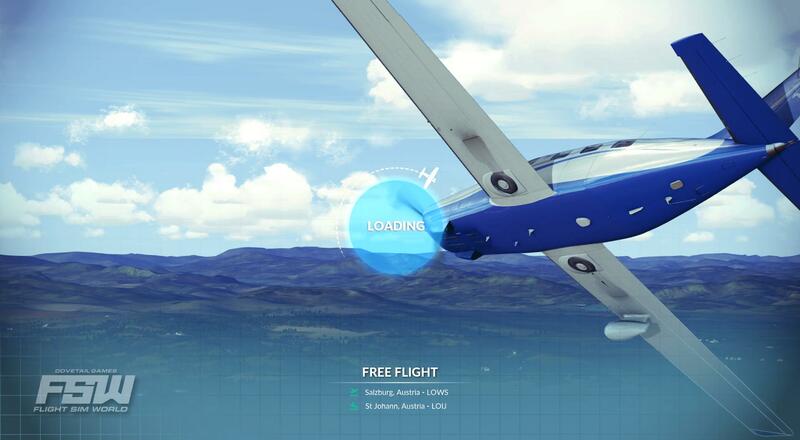 For now, let's settle on Free Flight as our friend, and take a closer look at the sim itself. With the Malibu available, I can't resist trying it out on a short flight from Innsbruck to Friedrichshafen. I choose this route because I know the area fairly well. I select the 'Sunny Day' preset and find myself on Runway 08. There's no choice of starting area, I get what I'm given. In theory, you can select your starting point once you've chosen your airport. At the moment though that 'Config' option is "U/S", not working. Looking around the cockpit, I'm already slightly disappointed. It feels a bit flat in places. As you'd expect from a complex GA aircraft, there are plenty of buttons to investigate. The cockpits though, are very FSX like. 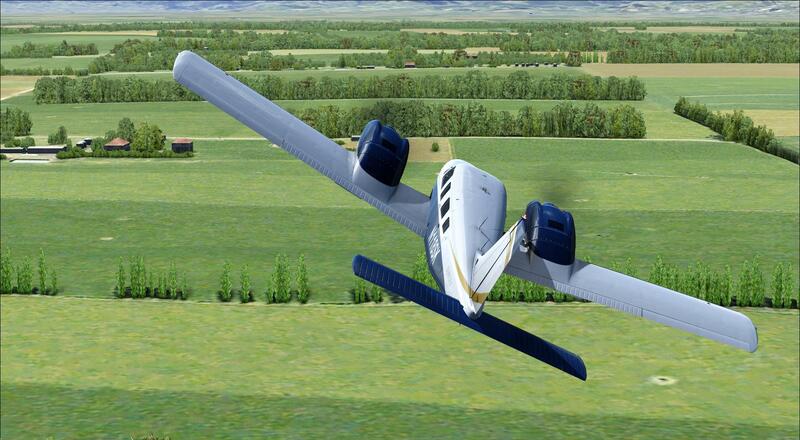 Given that Carenado have provided a few aircraft for the sim, then perhaps it's not surprising. That said, a HD cockpit makeover would have been nice. There are plus points though, there are several circuit breakers that can be 'popped' either manually, or with a failure. This is common to all aircraft. They don't all work, but it's a big improvement on the FSX defaults. I take off from Innsbruck, circling over the city and fly back over the airport. I'm surprised to discover the rest of Innsbruck is missing beyond Runway 08. Across the river is a shopping mall that is completely missing. In fact, there are just trees, and the road for as far as I can see. As the flight progresses, it's clear that the vast majority of the scenery has only vector data, no land class. Nowhere is this more apparent than when I pass Bregenz, and St Gallen on my arrival to Friedrichshafen. There are no cities or towns or towns anywhere. When checking a vanilla install of FSX, it's the same. So as I approach my destination, the airport blinks 'in and out' while on the horizon. I can see whole groups of trees disappearing, and reappearing, depending on how I look at them. In flight, the aircraft flies very well. 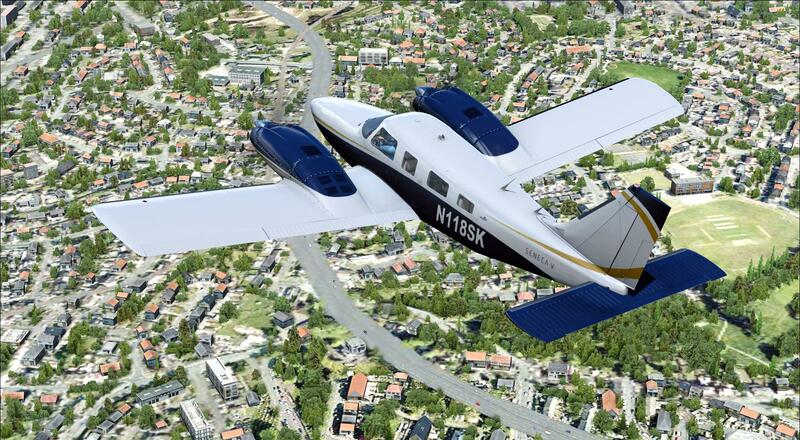 The Accu-Feel enhancements make the aircraft fly much better than the FSX defaults. Each aircraft can now get into a spin if you're not careful. My system isn't the strongest these days, and my ageing Nvidia GTX 680s are way below the recommended Nvidia GTX 970 GPU. However, performance is fairly good, at least on a single screen. The frame rates are steady at 30 FPS (the rate appears locked there). 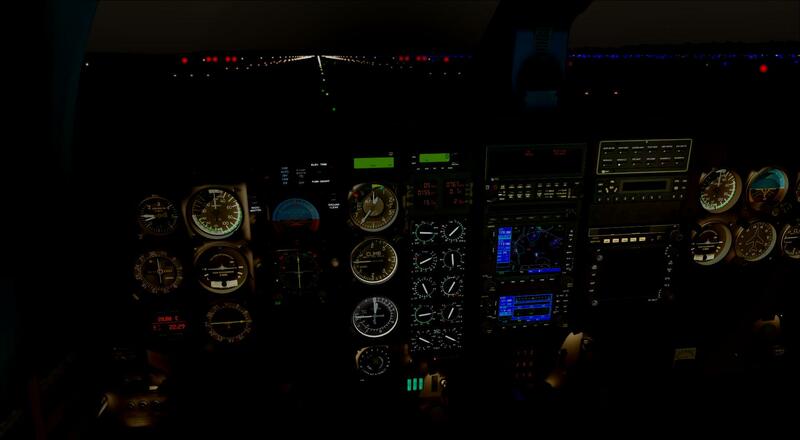 Bad weather can bring it down, but the sim remains perfectly flyable. On three screens though, things get tougher. Frame rates halve down to 15 FPS, and that's in clear weather. Now my SLI set up is helping, but I'll need something like a GTX 1080 to really make the sim sing on three screens. I will preface this though by saying this was with all the sliders to the right. Adjusting them gives a much nicer experience. 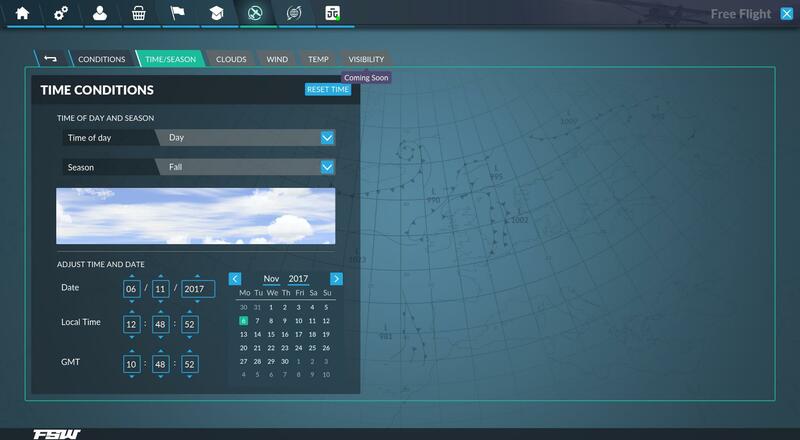 The flight planner is basic as well. There are no low level airways, they're ideal for the Seneca and Malibu. It's great for VFR, but come the airliners and IFR flying, the flight planner will need an overhaul. 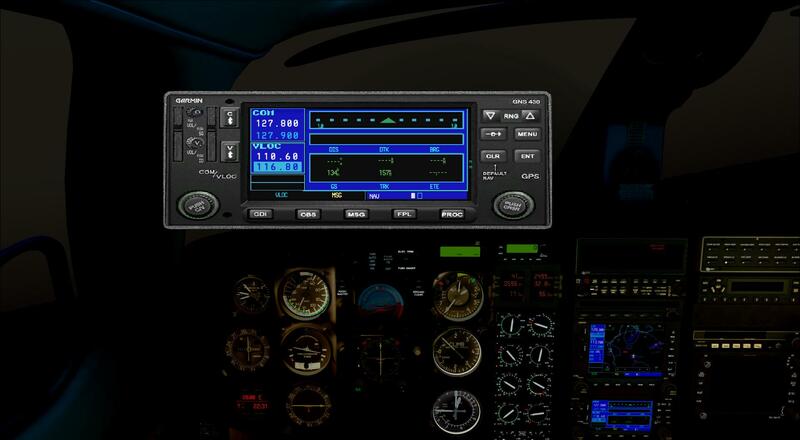 In the sim itself, another thing that really annoys me is the lack of options on the menu bar. You can't change the time, season, airport, aircraft, or indeed, the weather. 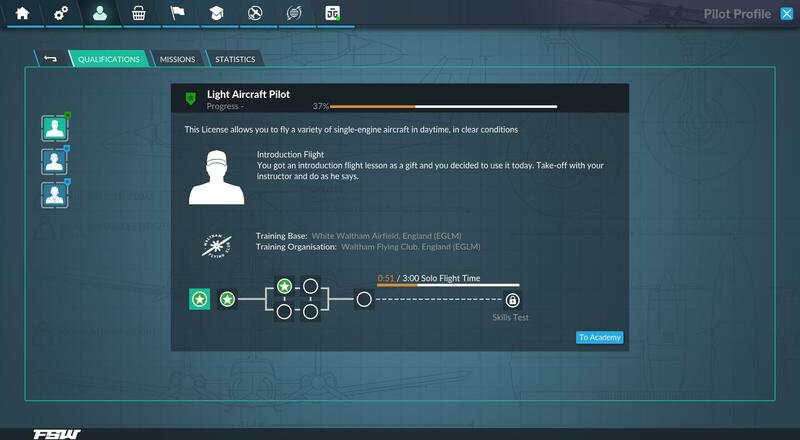 To do any of that, you'll need to leave the sim, cancel the flight, and head back to the start of the free flight setup page. Having to go three steps back for something that you could just change on the fly in FSX is inefficient, annoying, and time consuming. You can change your graphics settings in sim, but you have to hit the escape key then select the 'Settings' from the new menu dialogue. Speaking of settings, I really dislike the lack of control over the graphics settings. The combined sliders make fine tuning impossible. I can't turn off the cars, or tone down the shadows. It's frustrating. It feels not just like a massive step backwards, but like the user is being locked out of making changes. It's not all bad news. There are a few great benefits. The weather depiction isn't finished yet, but take a flight in the 'Cold Fronts' theme and go flying in the mountains, I did. 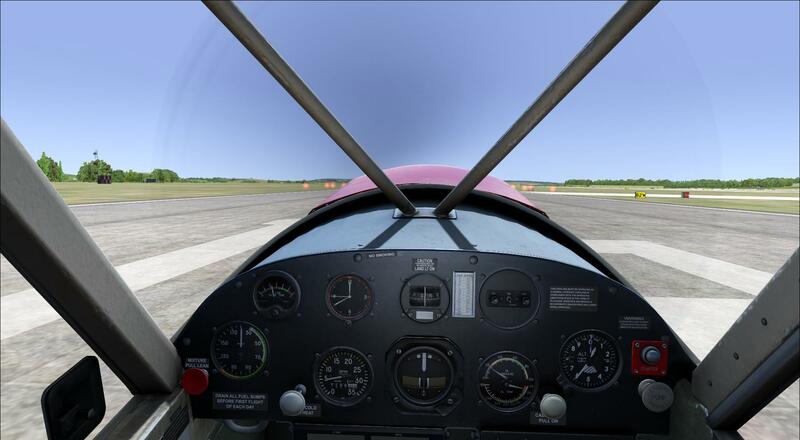 Flying from Salzburg to Zell am See, I spent my time scud running in the RV-7 before needing to make three go-arounds at Zell before landing the little aircraft in a 10kt crosswind. It was incredibly difficult and thrilling all at the same time. The inclusion of the rain drops on the canopy just made it all the more immersive. I tried that at night and hit a mountain. Speaking of the night, the night environment is a massive improvement. When it's dark, it's really dark, pitch black in fact (see 'hit a mountain' in previous sentence). The night lighting has been overhauled, although it's just baked textures. 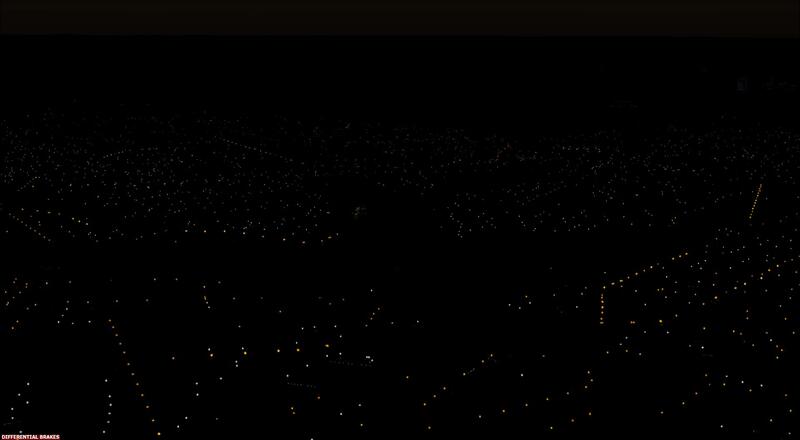 In fairness, X-Plane 11 casts an awful big shadow when it comes to night lighting. For those wondering, the ATC system remains more or less the same, but with new voices. The British regional voice add a nice authentic feel in the UK, less so here in Austria mind you. The inclusion of A2A's Accu-Feel tech is great. 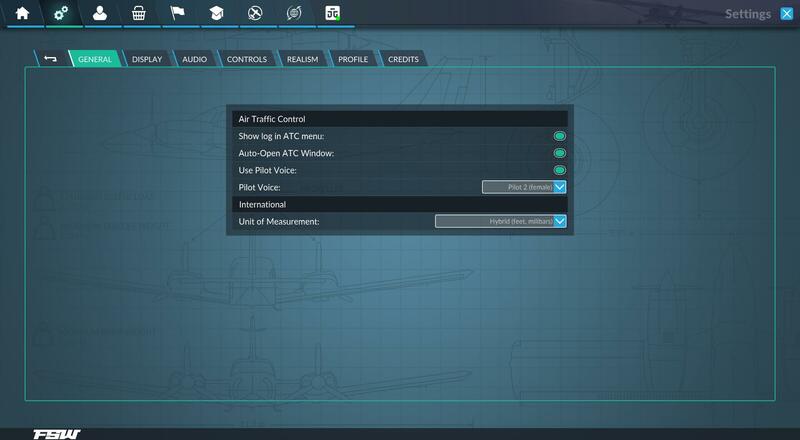 Here, Dovetail have been smart licensing some of the best third party developer's add-ons to accentuate the sim. 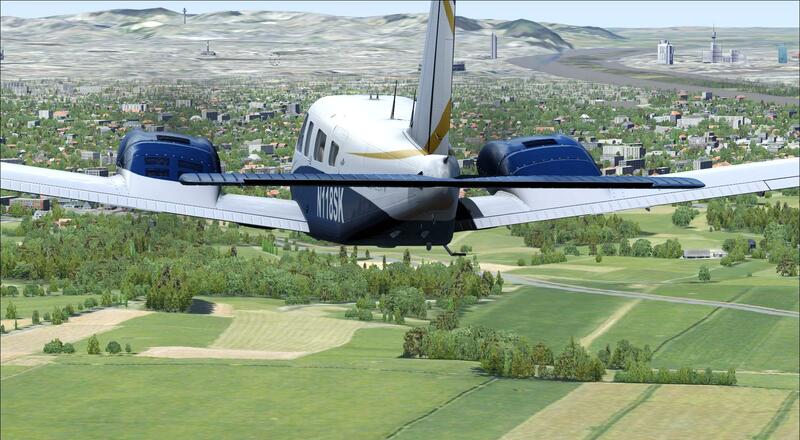 Certainly, where the landclass is good, the Orbx FTX global textures work fantastically. It's probably smart also to not update the default landclass. It's one of the first things I remember changing scenery wise. Commercially, there's little point spending vast sums of your own cash to update areas already available from third party developers. Ok, there are bugs, but this is an Early Access version. So I expect things to be a bit broken or unfinished. For me though, there are bigger issues. One of the great things about FSX, and indeed all its family, is that it's been an incredibly open sim. I don't just mean for third party developers or freeware. The old sims always put the user in charge. The graphics settings could be individually tailored to each system. If you wanted to change airports, it was simple, as was the weather theme system, as was the time and season. FSW, however, feels a little more closed than this. It's like they're looking to control your experience a lot more than Microsoft did. It feels - dumbed down. In flight, things are great, but it's the whole user experience that's important, and for me, right now, I feel like I'm being slightly scolded for wanting to change my departure airport after I load in. After all, if I cancel the flight, I get told 'I've failed' to land at my destination. Perhaps the best thing to say is this. Yes, there are issues, but so did FSX have issues when it was released. 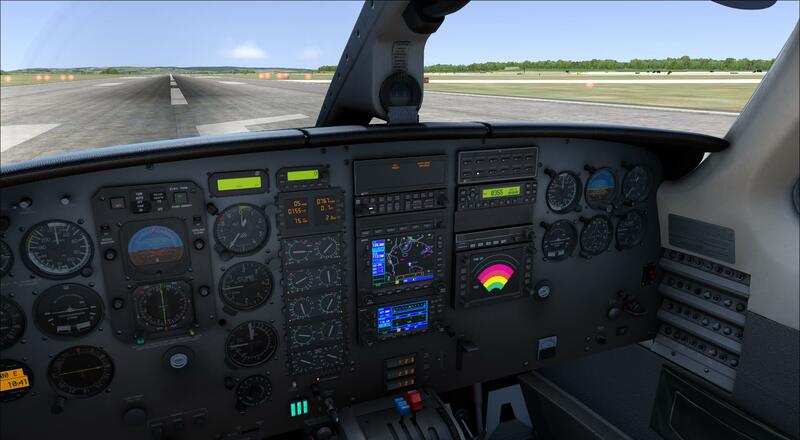 It also took nearly four years for FSX third party developers to get to grips with the sim and start to really exploit it. So it will be with FSW. We need to be patient here. This is just Early Access and we're months away from a full release. There's potential, let's hope it gets realised. Let's hope they listen. 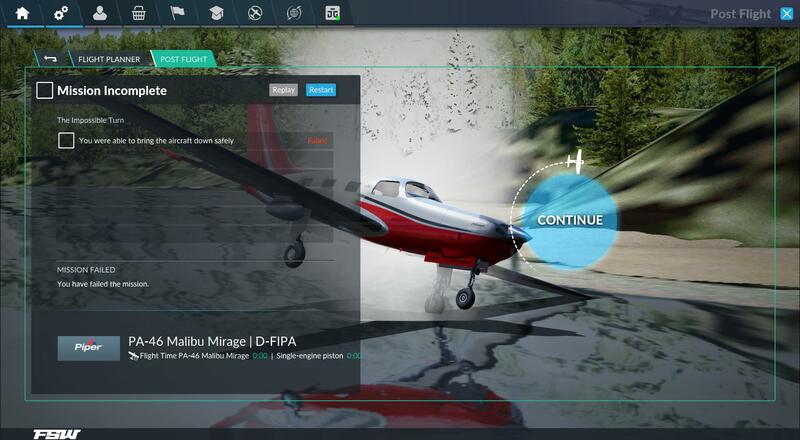 Flight Sim World (Early Access).